For your babymoon, come enjoy an oasis of calm amid the glitter and buzz of Las Vegas. 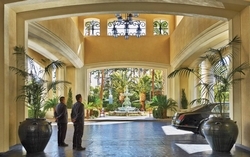 Soak up all the excitement that is Vegas and then return to the intimate and gracious environment of Four Seasons to relax and enjoy each other during your babymoon. Relax and indulge with a "Babymoon Massage" at the serene Spa at Four Seasons. Dad-to-be can de-stress with a soothing Swedish or deep tissue massage. Book the Bed and Breakfast package and receive a full breakfast for two each morning in The Verandah Restaurant or served in your room. Enjoy the best of both worlds on your babymoon! 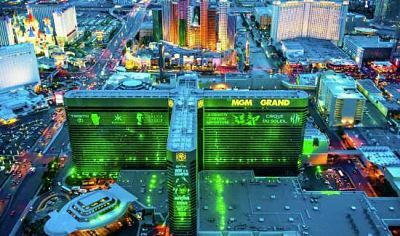 The Signature at MGM Grand provides the serenity of a luxurious apartment and pools in which to relax, all within easy rich of the vibrancy and excitement of the strip! A one bedroom bacony suite gives you amazing views of the action, and also features a full kitchen, dining table and living room, so you have plenty of space to unwind and some privacy for preparing those all-important midnight snacks!